Don’t know where to go tonight? Can’t decide what to gift your BFF for her birthday? Laptop stopped working and you need to get it repaired? 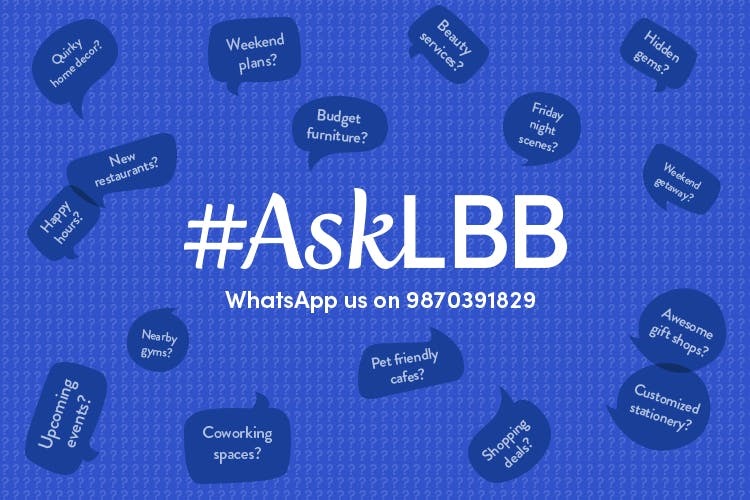 If you’re too lazy to spend an hour researching the answers, we’ve got the solution for you: with #AskLBB, you can WhatsApp us on 9870391829 and get the answers to all your burning questions within a minute. It’s that simple. WhatsApp us on 9870391829, and you’ll have the best of Delhi at your fingertips. Your questions can include anything and everything. Wanna check out a new restaurant in your area? Or you’re low on cash and want to know about the best shopping deals in town? Whatever it is, we’ll WhatsApp you the answers. If you’re a lazy person, this is basically your dream come true. As of now, we’re only in Delhi, so keep your questions local. Also, we’ll be replying only between 11am to 7pm, so if you want to know where to order something at 2am, ask us in advance.